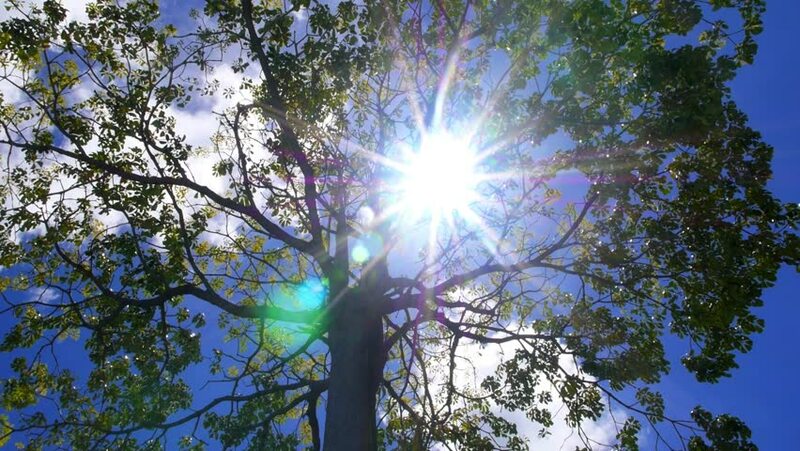 Sun through Green Tree Leaves against Blue Sky. Vacation, Happiness and Freedom Concept. Slow Motion. HD, 1920x1080. hd00:20Sun shining down through aspen trees. hd00:29Soft morning spring sunshine through first foliage growing tree branches in park or wood. Beautiful springtime nature background. Real time full hd video footage.